The Gulf of Mexico in Southwest Florida offers numerous white sandy beaches with mostly untouched flora and fauna. Many think, the Gulf of Mexico is so shallow that one could walk to Cuba, unfortunately this is not possible. What the Gulf of Mexico has are constant warm water temperatures of 23-25 ​​° C, wonderful white, powder-fine sandy beaches full of shells and breathtaking sunsets. Even the more adventurous will find something for themselves. So at this point the question is: “How would you like it then?” Romantic, natural, secluded, exclusive, or perhaps excitting, active, lively? On this page you will find a small but fine selection of beaches around our vacation home in Cape Coral. This selection is not exhaustive, since the number of beaches is just too big to list them all here. Despite all the beautiful beaches around Cape Coral it should be mentioned that there is a beach called “Cape Coral Beach” in Cape Coral . This is very well maintained and the atmosphere there is very intimate. This beach is especially suitable for children because they are fine there and the parents have a good view and the water falls relatively long flat so that they can build great sand castles and bathe in the water. 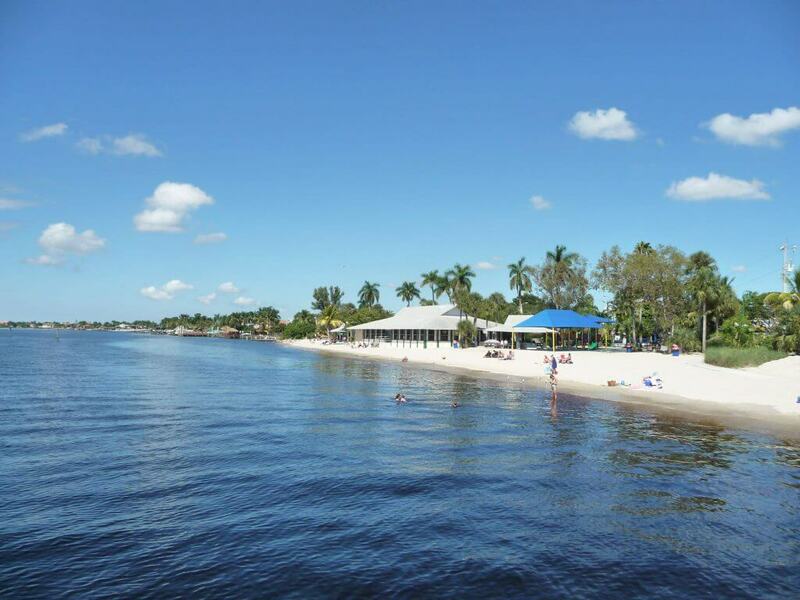 For fishers, Cape Coral Beach is perfect: There is a long jetty with Pavilion, where you sit in the shade and throw the fishing rod into the ocean. This beach is also used by many local people. In about 14 miles you will find the sub-tropical island “Pine Island“. You should visit this one! Here there are very large citrus orchards mainly pineapple, mango and palm trees are grown. You can drive some kilometers along these plantations with a rental car. One might think that these never end. Also worth noting are the small, colorful houses on the main street. You might feel as if you were in the Caribbean and not in Florida. Also culinary wise Pine Island has much to offer: In the north you can reach Bookelia, in the South St. James City. In both towns there are excellent restaurants where you can get particularly good fish. 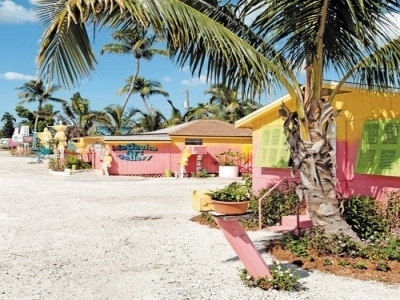 Pine Island is interesting for Florida tourists who enjoy a peaceful and silent place. 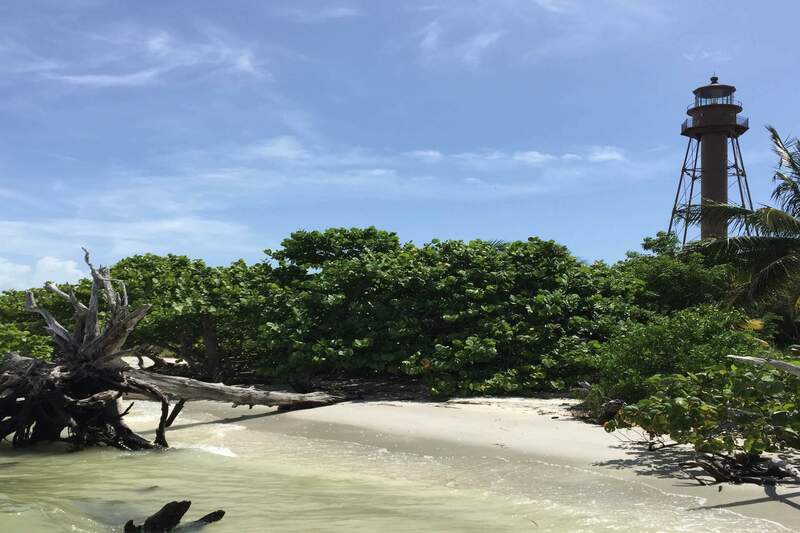 You will find all this on Pine Island and one can enjoy the pleasant warm climate as well. 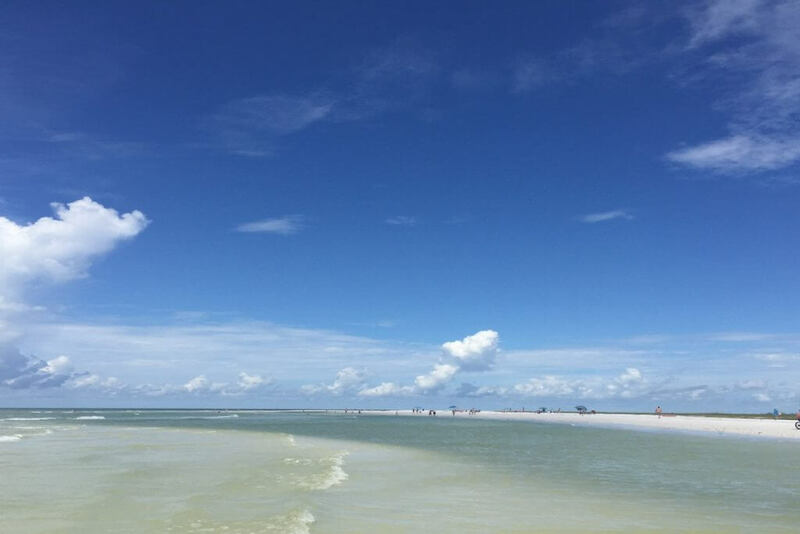 Approximately 25 minutes with the car from our house you will find the famous Fort Myers Beach. This is very popular with families. Due to its gentle rise the beach itself is particularly safe and is characterized by very soft and white sand. Water sports enthusiasts will find any kind of leisure activity, from windsurfing, kiting on Jet Ski or catamaran sailing to parasailing, there is something for everyone. Here tourists not only find a beautiful beach, there is also a quite large pedestrian zone where you can find many souvenir shops (by American standards), as well as some restaurants. If you prefer romantic moments, you should not miss the “Magic Hour” on the long jetty of the Fort Myers Pier just before sunset. The atmosphere is unique and you should not miss this natural spectacle. Leaving Fort Myers Beach heading south, you reach Estero Boulevard after a few minutes, which leads along many colorful beach houses and several bridges to Lovers Key State Park. This beach is one of the most quiet and most beautiful places throughout Southwest Florida. Until some years ago the beach was only accessible by boat, so it quickly got the reputation that it is mostly visited by couples in love in search of a secluded spot. Hence the name Lovers Key. Due to the picturesque setting and the descriptive name today many beach weddings and engagements take place in the Park. The beach is also very popular with shell collectors. 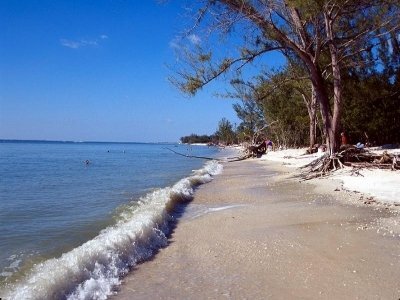 An absolute “must see” is the tropical Sanibel Island, which lies just a few minutes from Fort Myers. Here you will find, away from the hustle and mass tourism, an oasis of calmness and relaxation and many secluded beaches. Sanibel Island has only about 6,000 inhabitants and the buildings may not be higher than the highest palm tree. Fast – food restaurants are forbidden, so you find yourself here in an absolutely picturesque scenery and you have the feeling that time stands still. There is also the famous Bowman’s Beach – the beach with the highest shell occurrence in the United States. 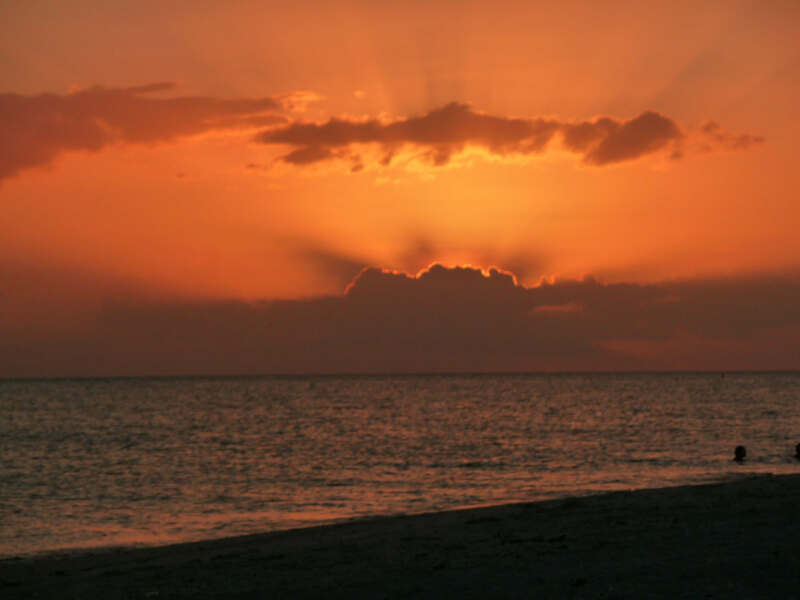 A popular activity on the island for visitors is shelling especially during sunset. Not less interesting is Naples. Naples is just 50 minutes away from Cape Coral away and one of the richest cities in the United States. Here around 20% of the population is German and the average age is 60.7 years! Here is a great place to go to the beach to stroll along and look at the magnificent villas of various celebrities. 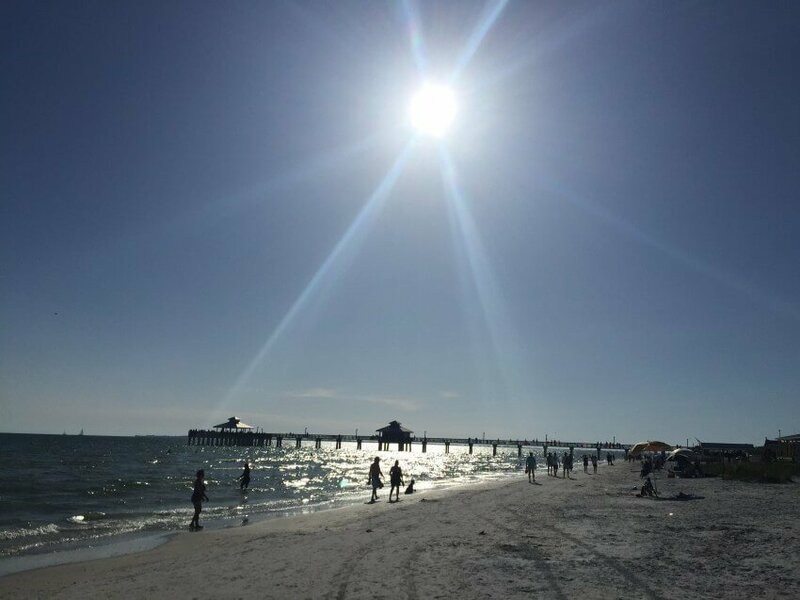 At the end of the day, we recommend to watch and enjoy the sunset on Naples Pier, which is one of the most beautiful beaches in all of Florida. 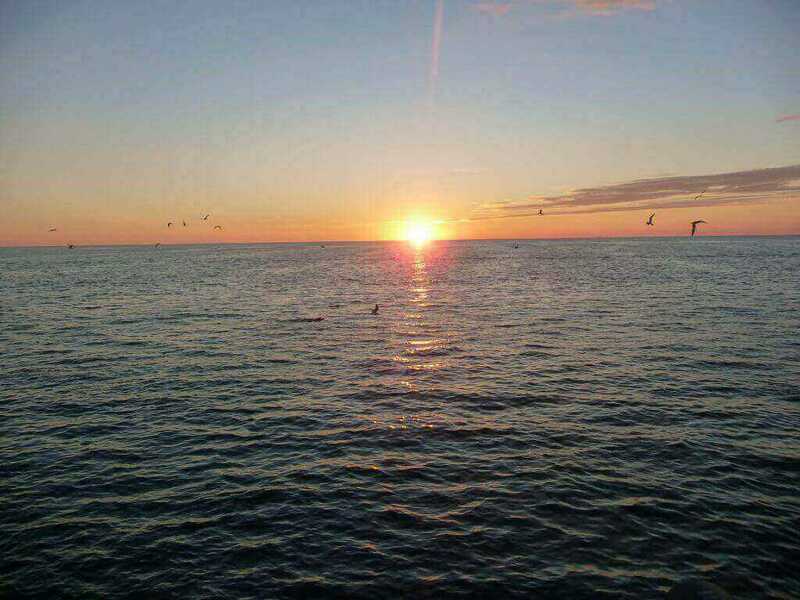 Here you can watch dolphins swim while pelicans fly by the setting sun on the horizon. The atmosphere here will make you feel like you are in a dream. Siesta Key Beach, which is appr. 80 miles north of our vacation rental, is on an island just west of Sarasota. After having been awarded “only” 2nd best beach in the US in 2009 and 2010, it finally won the title in 2011. The title for the most beautiful beach in the US is awarded annually by Dr. Beach Stephen P. Leatherman, professor and director of the Laboratory for Coastal Research in Miami. The beach is recognized as having one of the whitest and finest sands as it consist of 99% quartz. Even on the hottest days, the sand is so reflective that it feels cool underfoot. In the following years the beach could not defend its title, but it remains a great destination for the whole family. It is especially suited for little children and non-swimmers as the water is very shallow.